Working as an advanced practice registered nurse (APRN) doesn’t just mean filling healthcare needs in U.S.-based medical facilities. APRNs are working across the globe, taking part in short-term and long-term immersion experiences for a better understanding of global health needs. International learning opportunities provide APRNs with the chance to expand personal growth, increase understanding of multicultural care, and assist other countries that are struggling with health workforce shortages. In some cases, these travel opportunities come while pursuing higher education in nursing. In other cases, they come as employment opportunities. Such experiences are particularly important for APRNs who are advancing their practice skills by pursuing Doctor of Nursing Practice (DNP) degrees to become health leaders and improve outcomes around the world. Overall, global healthcare organizations and government agencies have varying requirements for nurses who choose to work or learn overseas. Most international aid and educational organizations require nurses to possess at least a Bachelor of Science in Nursing (BSN), have successfully completed the National Council Licensing Exam (NCLEX-RN), and have professional nursing experience. Some of the largest countries in the world—including developed nations such as France, Italy, and Ireland, and economically struggling countries such as Yemen, Haiti, and Ethiopia—are seeking qualified nurses to fill shortages. In some cases, nurses are expected to speak the local language with fluency. In others, interpreters are provided. The leading universities provide opportunities for students to explore the global culture to begin addressing the emerging healthcare challenges that come with globalization. Studies show such educational programs may increase the student’s cultural competence, sensitivity to underserved populations, and general awareness of national health problems. A whitepaper by the National League of Nurses (NLN), titled “A Vision for Expanding U.S. Nursing Education for Global Health Engagement” said multiple perspectives on global health issues, including public health concerns and diverse cultural beliefs and practices, allow nurses to practice competently and responsibly. “Being a global citizen has become part of the contemporary professional role. Nurses today require a global worldview and share a common commitment to engage in culturally responsive health care, both nationally and internationally,” NLN researchers said. Duquesne University students who participate in the school’s overseas study program in Rome or Dublin explore the impact of globalization on healthcare and healthcare planning and the global response to diverse cultural needs. More than one billion people worldwide lack access to basic healthcare because there are no healthcare workers to provide assistance. Several non-profit and not-for-profit organizations, such as the Peace Corps, Red Cross, and Doctors Without Borders, pair nurses with in-need agencies and communities. The World Health Organization estimates a needs-based nursing shortage of more than nine million nurses worldwide, with the biggest needs in Africa and southeast Asia. Many traveling nurses opt to work in the Middle East, in locales that include Saudi Arabia, Kuwait, and Qatar, for the best opportunities. In general, nurses who work in the Middle East earn tax-free salaries, generous vacation time, and ample opportunities for cultural immersion. Nurses typically use healthcare recruiters to find employment and are required to sign one- to two-year contracts. U.S. governmental agencies, including the Centers for Disease Control and Prevention, the State Department, and the U.S. Public Health Service Commissioned Corps are in need of nurses who work with Americans living and working overseas. In general, APRNs must have several years of nursing experience to fill the positions. The globalization of disease and healthcare has made the need for experienced nurses and nurse leaders worldwide even more crucial. 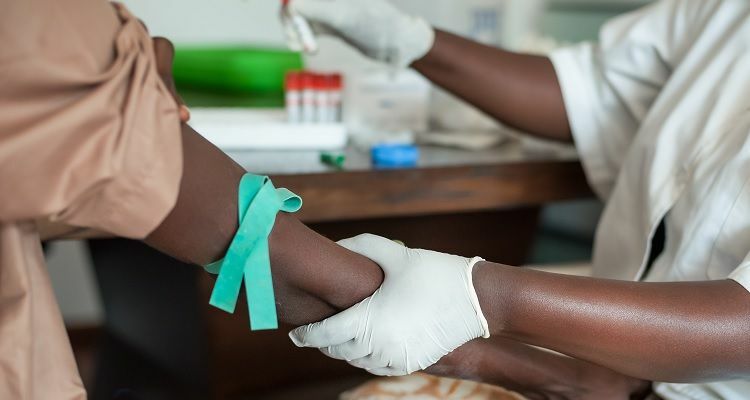 A study of global health by the American Nurses Association found nurses have the skill and expertise to tackle the largest global health concerns, including infectious diseases, human trafficking, and maternal-newborn health problems. At the same time, however, barriers such as health inequities and healthcare worker shortages block success. By working abroad, U.S. nurses can observe global problems and work cooperatively with their international counterparts to begin effectuating change. “Nurses are positioned in settings such as government roles, public health, academia, clinical care, leadership, and private industries with the ability to develop a creative and effective network to respond to multifaceted problems,” the ANA said. Indeed, as leaders in nursing practice, DNPs have the education and experience to bring about changes in healthcare on a global scale. Overseas opportunities can begin while pursuing a DNP degree and can continue after graduation. Online DNP students at Duquesne University who opt for overseas study, through the transcultural and global health perspectives course, learn about international healthcare systems for a better understanding of healthcare globalization and cultural competence. Duquesne University’s online DNP program provides APRNs with skills to manage the many evolving roles in the field, including the internationalization of healthcare. Students who work toward a DNP at Duquesne University’s online program have the added advantage of being able to study abroad in Italy at Duquesne’s Rome campus or in Ireland at Duquesne’s Dublin campus. The school’s DNP program builds on existing knowledge and skills to provide a comprehensive education for roles in leadership, public policy, and global advocacy.